Since the warehouse is typically where most of your work gets done here is a list of quick tips that should help you make sure it runs smoothly like a well oiled machine. 1)Layout: Your warehouse layout should incorporate dedicated areas for receiving, shipping and Bulk storage. If you don't have the space for dedicated area's at least label them, and when overflow space is needed change the signs. This will help you know where inventory is and should be. 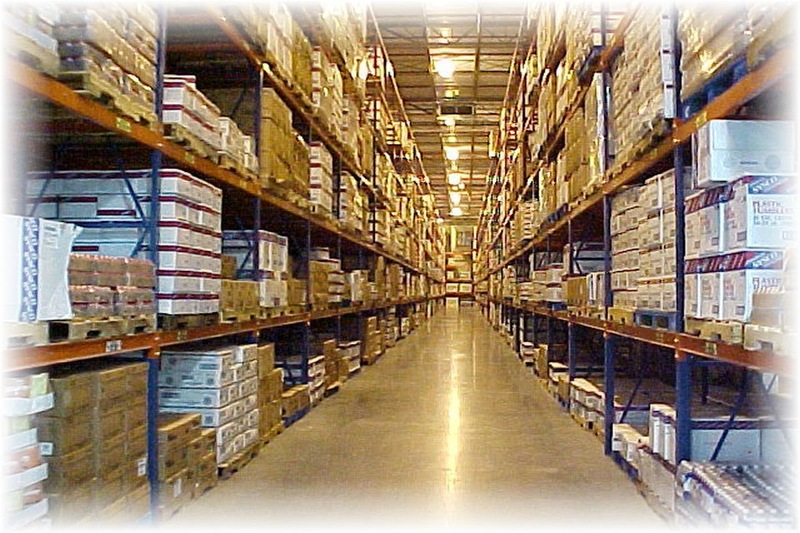 2)Racking: Make sure you have the right type of racking, shelving and storage for the products in your warehouse. Spend some money upfront on racking / shelving to allow for the maximum lifespan possible.There is large resale market in this equipment, so make sure to look at used or second hand product. Once you do decide on a product take the time to make sure it is securely attached to walls and floors. Lastly check to see there is plenty of space between shelves so that all stock is easily accessible and people can walk by or drive a cart through if need be. 3)Packaging: Create a separate storage area or storeroom for your packaging items used such as cartons, boxes, packing filler or packing tape. And treat them as inventory if your employees understand that to pull down a new case of boxes will cost X dollars they will be more likely to ship and pack more efficiently. to minimize impact only update inventory at the case or bulk level so that you can see how many cases you have. an added benefit is that you will know when to reorder such items and can make some more educated guesses on the throughput of your warehouse. 4)Loading: Make sure to have open area by your loading bays for both receiving and shipping , layout out a piece of yellow tape or paint the floor to delineate the current shipment coming in from the last one. as items are put into your inventory you can stage them on the floor and easily identify items that are ready to be put away on the shelves vs those waiting to be checked and received. 5)Software: Consider installing warehouse management system software. It will streamline and speed up all areas of warehouse life, making the receiving, picking, packing and shipping processes much more efficient. It will also lead to greater transparency and accuracy, thereby reducing waste and returned orders. if Cost is a factor Investigate our Software as a Service ( SaaS ) MDS warehouse management system, there are no upfront costs and the service is billed on a monthly basis, This will help the company cashflow and ensure that warehouse staff have system support 24/7.